Over the weekend I was at the Olympic Village for Portobello West Market with my parents. And guess what I found in the lobby!! 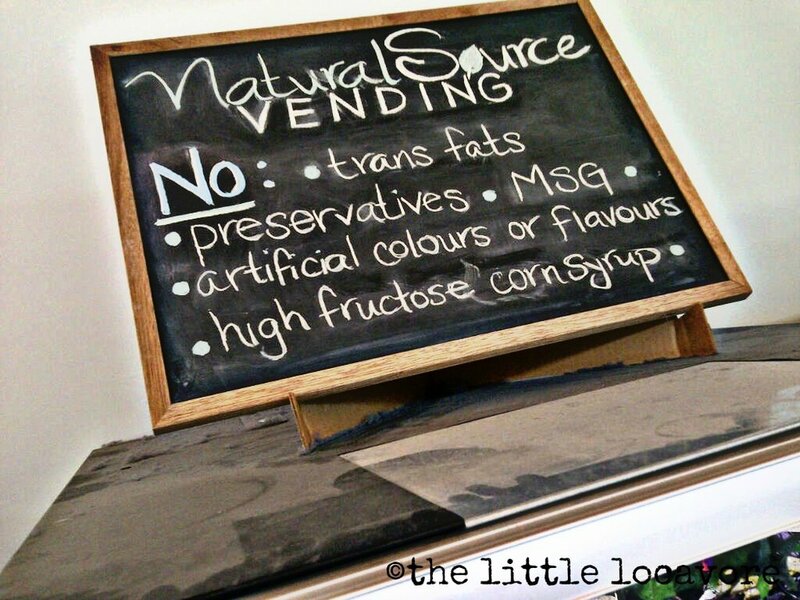 A Natural Source VENDING MACHINE!! These should be everywhere, instead of those crappy machines full of chips and junk!! I bought a bag of baked pita chips, they were delicious!